Table Wall of Contents Why does it have to be a table, why not a wall? That’s right Ladies and Gentlemen! Even though the invasion of walrus was pretty boring because no one showed up to defend, I thought, hey why not make this interesting, let’s do something unexpected, lets break the record for the longest Joke Bomb in Army history, and we did! I would like to thank everyone who showed up, because this is YOUR record guys. Be proud of it. 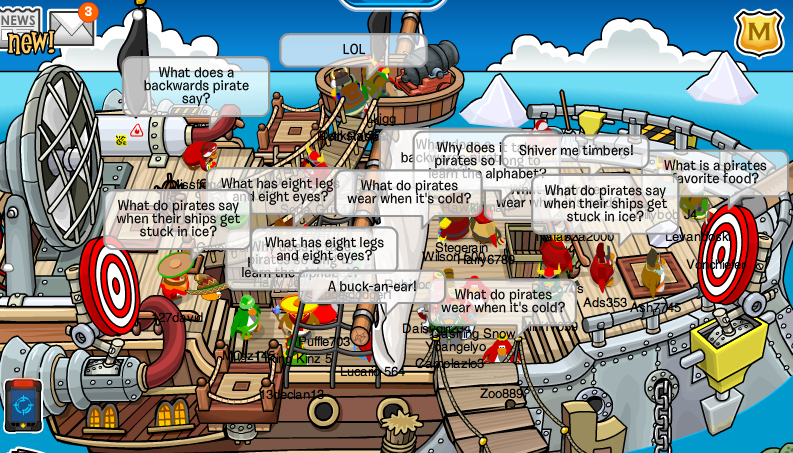 We did a consecutive Joke Bomb from 10:16 am pst to 10:33 am pst in 8 different rooms! Now that’s something for the record book boys, and ACP was there as our witness. So, you’re probably thinking…. what is the Nachos Supreme Division? 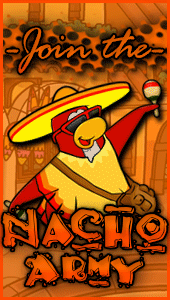 The Nachos Supreme Division is a group of our best, and most dedicated troops which will be assigned covert missions to make sure that the nacho army is the best possible army we can be, whether it’s chat, cp, or something else we are always making sure that nachos are the number one army. Now 6 people will be chosen to be in the Nachos Supreme Division by me. Owners are not eligible. I will be selecting people to join and will announce who those people are in post. 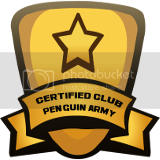 Once you’re in the Nachos Supreme division I will tell you what our true purpose is, trust me we are going to change CP Army warfare forever. You can not ask to be in the Nachos Supreme Division, you must be chosen through your hard work and dedication to the Nachos. If you are an owner in another Top 5 army you can not be in this division. Do your best at events, recruiting, and on chat, and you will be chosen, but remember, only the best will be chosen. 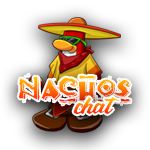 For more info on this, PC me on nacho chat. Since there haven’t been many events planned for this week, I’m making a U-Lead contest! Now this is different from other U-Lead events. Here’s how it works. It’s pretty simple, everyone who wants to lead will get a chance to perform 1 tactic, any mod or member. Whoever has the most creative and effective tactic wins 5 xat days, and a few medals! It’s that simple. I encourage everyone to try, and bring your creativity! Comment if you can or can’t come!! So the other Day I was bored and watching the Price is right, and I thought, hey I should do a weekly contest for a few days for the Nachos! So I will. Here’s how it works, just leave the price of how much you think the item is worth in U.S. dollars. The person who is closest to the price of the item, without going over wins 3 days and 4 Medals! If you get the exact price then you win double which means 6 days and 8 medals! This is a weekly contest. I think that the TV is worth $325.99 ! Here is this weeks item, Remember don’t go over the price! 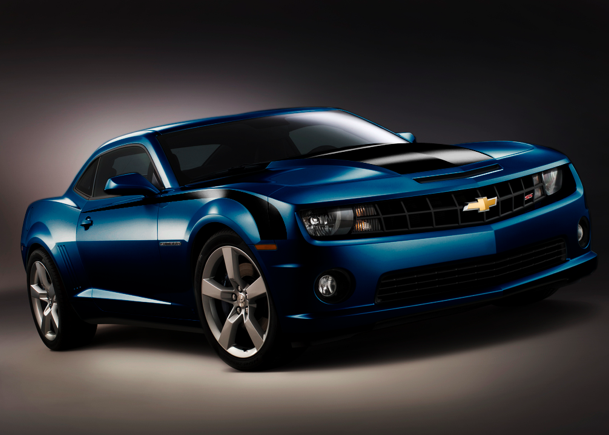 Comment on the price,*Uses announcer voice* You’ll be rolling in style and be the envy of all your friends with this brand new blue Camaro! Results will be posted on the next Price is wrong! I can make it and $32,775. Can’t come to U-lead event. Well done on the record! I think the car is worth $33,280. i think the car is worth $28,456. Random guess. I made it to the Walurs Event! I believe the price of the blue Camaro is somewhere around $32,700. After performing extensive research, I believe that this car is worth $23,280. I came to the Walrus event and can’t wait for the U-Lead event! That car is worth $37,980.